Find comfort, convenience and fun at Red Lion Hotel Anaheim Resort, a family-friendly hotel in Anaheim, California, just steps away from Disneyland® Resort Theme Park. As a Disneyland® Resort Good Neighbor Hotel, we provide easy access to magic and memories. Our resort-style hotel in Anaheim features all of the hotel amenities travelers expect, plus additional conveniences to make your stay the best ever. We have free Wi-Fi in our 308 modern guest rooms and public space, onsite dining in our family-friendly restaurant, a beautiful outdoor pool with fire pits, easy-access hotel parking and flexible meeting space. We aim to make every experience memorable when traveling to Anaheim, California. 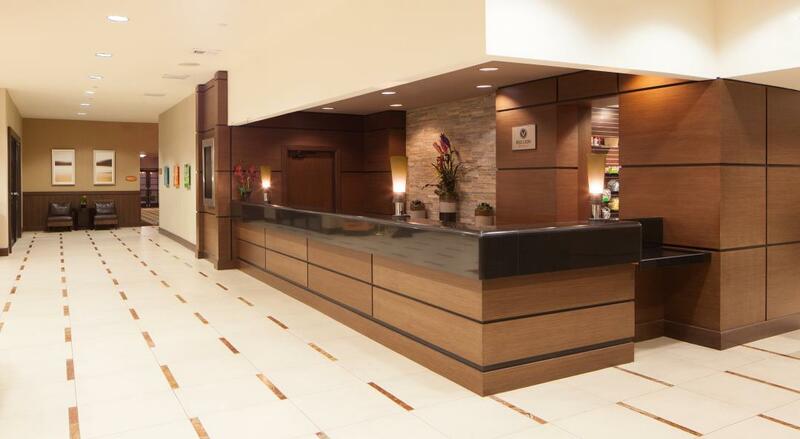 Everything you need for work or play can be found at the Red Lion Hotel Anaheim Resort. As a chosen destination among Anaheim, California, hotels marked by an unmatched location, our Anaheim lodging is steps from the Disneyland® Resort's Main Gate. We pride ourselves on offering gracious hospitality and all the amenities you could want. 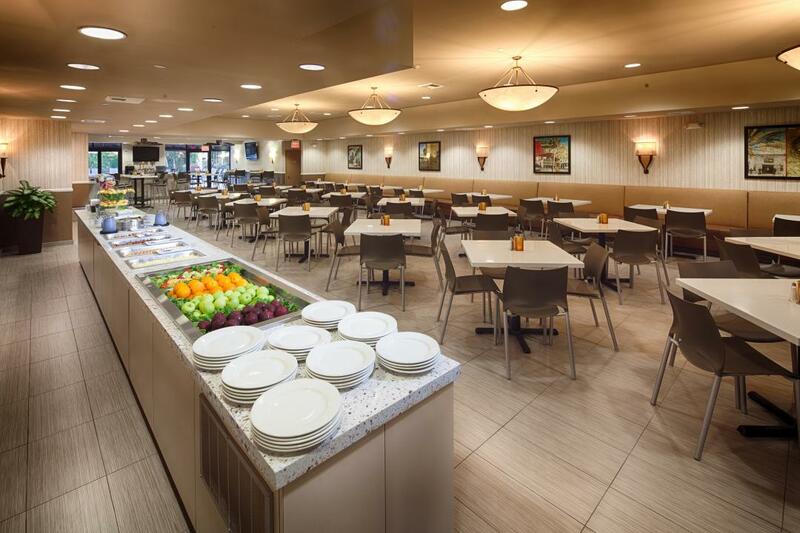 Before hitting the park, start the day with our signature breakfast in our Anaheim hotel's newly renovated restaurant. Stay connected throughout your Disneyland® vacation with complimentary Wi-Fi throughout the guest rooms to the lobby, outdoor pool and all meeting and banquet areas. In the evening, cozy up to one of our outdoor fire pits with free nightly s'mores all summer and await Disneyland® Resort's brilliant fireworks display before retreating to your comfortable guest room. Need a late night snack after a full day of exploring the Anaheim resort area? Our hotel offers a grab n' go food and snack station for added convenience. Want to skip the lines to purchase your tickets for Disneyland® Resort? Our official online ticket store is easy and convenient. Start planning your vacation at our Anaheim hotel today. Take the hassle out of Disneyland® Resort vacations when you stay at Red Lion Hotel Anaheim Resort. As a Disneyland® Good Neighbor Hotel, our property is proud to offer unmatched access to some of your favorite parks and characters, as well as Disneyland® ticket packages. Be sure to stop by our Official Disney® Desk – located in the hotel lobby. The Disneyland® Resort Cast Members are eager to help you make the most out of your getaway. Start by purchasing Disneyland® Resort tickets in advance so you can save time and skip the line at the park. If you are feeling overwhelmed, consult our concierge who will help you plan activities and decide on which attractions you should visit first. Our hotel's close to Disneyland® Resort, so you won't have to worry about long travel times. Come visit Red Lion Hotel Anaheim Resort and explore the Magic Kingdom. Begin by booking your hotel accommodations today or explore our hotel amenities. Immerse yourself in the natural beauty of Southern California where ocean breezes meet breathtaking gardens, allowing to a great opportunity to sneak in a workout. Red Lion Anaheim is a premier choice among Anaheim hotels with fitness center and a spectacular destination for your fitness pursuits. Featuring state-of-the-art equipment in an idyllic setting, you'll enjoy the use of our cardio, aerobic and weight training equipment in our hotel fitness center. Rather spend your workout outdoors? Enjoy a refreshing swim in our outdoor swimming pool or lounge with a healthy snack or drink on our deck. Our new, state-of-the-art onsite Red Lion Energy Zone fitness center features cardiovascular, aerobic and weight training equipment for a total body workout. Our fitness center features treadmills, ellipticals, steppers, bicycles, and a weight training circuit that enhance your health and fitness and promote a positive lifestyle. Among other Anaheim hotels with gym, you'll discover beautiful parks, gardens, green spaces, playgrounds, trails, lakes, and streams for sports and recreational activities just minutes from Red Lion Hotel Anaheim Resort. Families will enjoy hiking, biking, jogging, softball, baseball, tennis, basketball, soccer, fishing, and viewing wildlife just steps away. Explore Orange County's magnificent 42-mile coastline from Long Beach to San Diego lined with beautiful sand beaches and Pacific Ocean waves. Enjoy swimming, surfing, windsurfing, sailing, fishing, whale watching, sea kayaking, and fishing. At Red Lion Hotel Anaheim Resort, we aim to be the best Disneyland® Resort area hotel for kids, offering easy access to the world famous theme park and a load of fun-filled amenities onsite. Explore some of the kid-designed perks we have in store for little ones below. 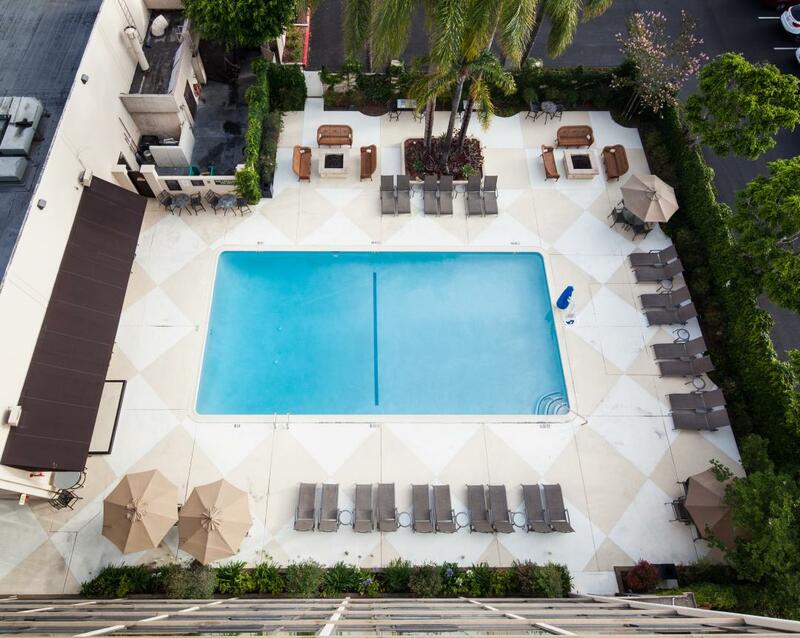 If the Cali heat is keeping you too warm, then take a dip in our outdoor pool. Chill in the calm waters, or splash around with the kids at our Anaheim resort with an outdoor pool. After a long day of travel, or a long day of adventure at the Disneyland® Resort, the outdoor heated pool at our Anaheim hotel is the perfect place to unwind. Stay dry on one of our long lounging chairs or sofas right next to the pool and soak in the warm California sun. We also have food and beverage service at our Anaheim hotel pool. 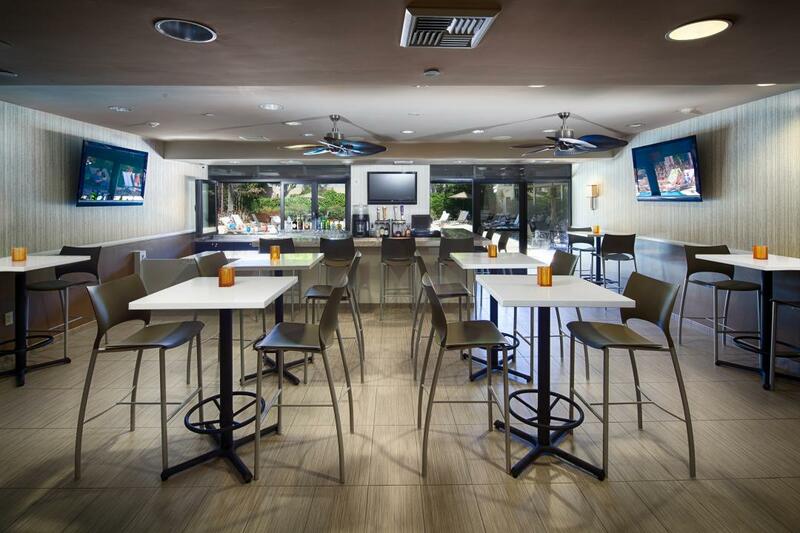 Our bar looks out onto the poolside area, so you can dry off at the counter top with drinks and television. 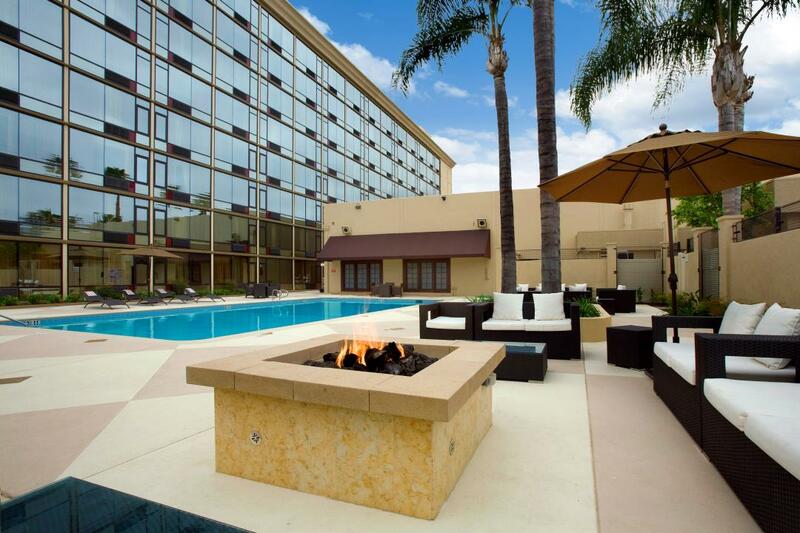 At Red Lion Hotel in Anaheim, we ensure you have the comfort you need to enjoy an unforgettable vacation. Stop by the pool for our delicious s'mores from 8:00 PM - 8:30 PM. Check at the front desk for nights service is available. We will provide the fixings and gourmet treats, you just bring the family. Go ahead and explore the most magical place on Earth. Getting around easily and discover the best of Anaheim with a variety of options for shuttle service. Our hotel close to Disneyland® brings you within moments of some of the biggest and best Anaheim attractions and helps make it a breeze to get there. Whether you're heading to the beach, embarking on a day of exploration around town, or looking for transportation in Anaheim to and from the airport, Red Lion Anaheim is your ticket. Walking to the Disneyland® Resort is easy, but should you want quick and affordable transportation to and from the park each day, check our ART, the Anaheim Resort Transit. ART is a local bus system that picks up and drops off outside of our hotel daily. The ART bus stops every twenty minutes vie Route 3. The hotel also features a kiosk to purchase bus tickets. We recommend purchasing tickets from the kiosk and using the Unlimited All Day Passes. You may also purchase ART tickets in advance and have them delivered to the hotel for free. Stop by the front desk and speak with one of our friendly staff members about ART. Tickets available right in the hotel at the Disney® Desk or at our online Disneyland® Resort ticket store. About Disneyland® Resort Disneyland® Resort, the world's most beloved theme park, is located so close to the Red Lion Hotel Anaheim Resort you can almost reach out and tug on Mickey Mouse's ears. Children, of course, love this world famous Disneyland® Resort Park Fantasyland, but Disneyland® Resort is as much fun for Moms and Dads as it is for kids. Where else can you be spoiled with so many unforgettable things to do - like beloved rides such as Hyper Space Mountain, Goofy's House and the Mad Tea Party? Where else can you enjoy endless snacks, blue skies and the chance to tangle with pirates and meet princesses? Stop by the Disney® Desk in the hotel lobby for maps and park details. As a Disneyland® Resort Good Neighbor Hotel the Red Lion Hotel Anaheim Resort has you covered for your Disneyland® vacation with special 2 and 3-day Disneyland® Resort Park Hopper®Tickets available right in the hotel at the Disney® Desk or at our online Disneyland® Resort ticket store. See the newest attractions and ticket options. A Disneyland® Resort Good Neighbor Hotel is a quality hotel near Disneyland® Resort that also sells Disneyland®Resort and Disney California Adventure® Park tickets at the hotel's Disney® Desk or via our website directly to you. Very few hotels are selected by Disney® and we are proud that the Red Lion Hotel Anaheim Resort has been chosen to be a Disneyland® Resort Good Neighbor Hotel. Make your reservations today at our Disneyland® hotel. Take the guesswork out of packing for your next vacation to Disneyland® and Disney California Adventure® and enjoy our simple Disneyland® Resort tips. Let us make this process simple for you and your family. For exploring Disneyland® Resort and all the fun things to do around the park, we recommend a CityPass. This single admission card, valid for 14 days from your first visit, grants you three days of unlimited access to Disneyland® Resort, including Disney California Adventure® Park; plus one-day admission to attractions near Disneyland® Resort. The Longer You Play the Better the Savings - Enjoy discounted guest room rates the longer your stay. Plus, the daily cost of the park ticket also drops the longer you visit the parks. For more information on ticket prices visit our onsite Disney® Desk in the lobby of the hotel or our online Disney® Ticket Store. Avoid the Crowds - The best time to visit Disneyland® Resort and Disney California Adventure® is September - December (avoiding major Holidays) and the second week of January - March (except holiday weekends). Consider visiting the park on weekdays, it is a great time to avoid the long lines. Save on the Rental Car, Find a Disney® Hotel within Walking Distance - The Red Lion Hotel Anaheim Resort is half a mile from the entrance of Disneyland® Resort. Save on Food for the Entire Family - There are fantastic restaurants throughout both parks and Downtown Disney®. If you are looking to save some money, our onsite restaurant offers meals throughout the day, as well as our 24 Hour Grab-and-Go snack bar. Get fueled up before you head to the park. The park also allows you to bring snacks into the park for your long day of play. Pack Smart - Don't forget the walking shoes, sunscreen, a hat and backpack. This will save you from having to buy last minute items and you will have more time to enjoy the parks. Consider A Way To Enjoy Shorter Wait Times - take advantage of FAST PASS, buy a park ticket which includes Magic Morning, Rider Switch Service, and Single Rider Lines. Download free wait time apps. This will help you predict and avoid the lines at your favorite park attractions. 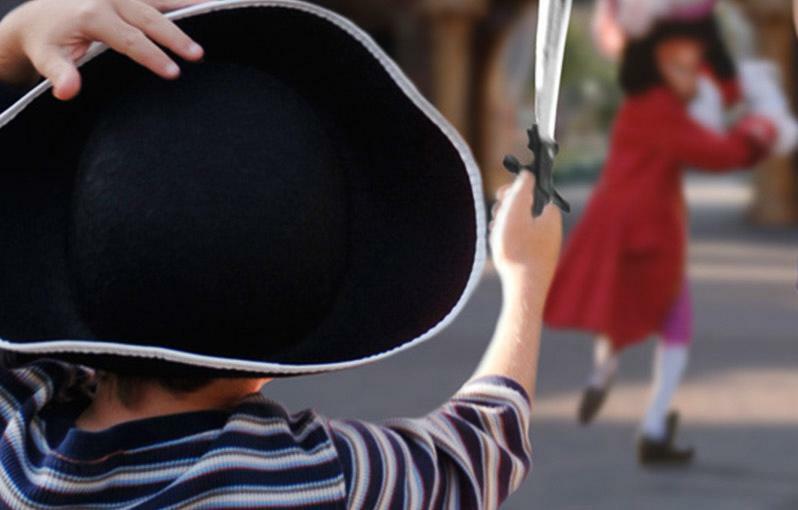 Locate Your Favorite Characters Before You Start Your Adventure - help your children find his or her favorite characters on your next trip. For more details, visit City Hall (or any information booths) for specific character times and locations. Whether you’re visiting Disneyland® Resort for the first time or the 100th time, there’s always something new to enjoy. Visit the park during a special Disneyland® Resort event—or plan an occasion of your own—to make the experience even more unique. Disney California Adventure® Food and Wine Festival – First introduced in April 2016, this California-themed culinary festival is a foodie dream with pop-up marketplaces and limited-time menus at restaurants around the park. Oenophiles will appreciate the delicious wine pairings from West Coast vineyards. Everyone’s favorite California foodie festival is back again this year at Disneyland® Resort. Through April 12, come out and enjoy the Disney California Adventure® Food & Wine Festival. Celebrating the best of Californian cuisine, beverages and entertainment, this festival is sure to make you hungry, and you won’t want to miss all the amazing dishes we’ve cooked up this year. Here’s your official Foodie Guide to everything available at this year’s festival. All these Festival Marketplaces can be found throughout Disney California Adventure® park. EGG-Stravaganza: We are so Egg-cited to announce the return of Egg-stravaganza at the Disneyland® Resort. This popular egg-themed scavenger hunt will take place from March 16 through April 1. Participants can purchase a map and stickers for $5.99 (plus tax) at select merchandise locations throughout the Disneyland® Resort. Tinkerbell Half Marathon Weekend – This 13.1-mile race sees runners adorned with fairy wings and tons of glitter. Featuring a full weekend of activities, this late spring event also includes a few shorter races, live entertainment, and of course, plenty of your favorite Disney® characters cheering from the sidelines. Fourth of July – The biggest holiday of the season is even more spectacular when you celebrate at Disneyland® Resort. From patriotic fireworks to live performances to pyrotechnic water displays, the park comes alive in shades of red, white, and blue during this dazzling mid-summer event. Halloween Time at the Disneyland® Resort is returning for even more days of wicked fun. Beginning September 7 through October 31, a spell will be cast at both Disneyland® park and Disney California Adventure® park, transforming the Disneyland® Resort into a frenzy of happy haunts. This limited-time seasonal celebration will include special attraction overlays, themed décor, seasonal treats, and merchandise, plus spooky encounters with favorite characters. Oogie Boogie will once again take over Disney California Adventure® park with stylish Halloween decor along Buena Vista Street and a swarm of bats encircling Carthay Circle Theatre. Cars Land will celebrate Haul-O-Ween as Radiator Springs turns into Radiator Screams! For the occasion, Mater’s Junkyard Jamboree will transform into Mater’s Graveyard JamBOOree while Luigi’s Rollickin’ Roadsters changes into Luigi’s Honkin’ Haul-O-Ween. In Hollywood Land, Guardians of the Galaxy – Mission: BREAKOUT will transform nightly into Guardians of the Galaxy – Monsters After Dark. Over at Disneyland® park, the Pumpkin Festival will greet guests as they make their way down Main Street, U.S.A. Fan-favorite attractions will also return, including the eerily delightful Haunted Mansion Holiday and Space Mountain Ghost Galaxy. Winter Holidays at Disneyland® Resort– The sparkling lights of the holiday season are even more brilliant when Disneyland® Resort turns into a dazzling winter wonderland. Spectacular decorations fill the park and special attractions are around every corner, including festive trees, a seasonal World of Color event. Lunar New Year – The Lunar New Year Procession makes its way through the park several times per day during this multicultural celebration each February. The whole family will marvel at the intricate costumes, musical performances, and dance routines when this parade makes its way through Paradise Gardens. Birthday Celebrations – You or your loved one can have a birthday for the ages with an unforgettable Disneyland® Resort celebration. Table-service restaurants around the park offer a Signature Dining experience; arrange for a custom birthday cake or even an appearance by a costumed Disney® character. Weddings – Couples turn to the expert party planners at Disneyland® Resort or the ultimate fairy tale wedding. The park is a magical backdrop for the young at heart, with the Rose Court Garden, Sleeping Beauty Pavilion, and other unique venues available for your big day. Our newly renovated onsite restaurant serves meal options for the entire family. From our fresh kitchen and modern decor, our menu and delicious dining options fuel the fun in Anaheim. Our fare includes a full menu of classic American staples, as well as drinks and desserts. If your taste buds tempt you away from our hotel, then explore the Anaheim dining options near Red Lion Anaheim Resort. Check out our dining specials for your next trip to Anaheim. We offer a great Happy Hour and family friendly offers. From Italian to Asian Fusion to American family style, Red Lion Hotel Anaheim Resort is surrounded by some of the best local Anaheim restaurants. If you're looking to discover the nearby area be sure to take advantage of some of our favorite Anaheim restaurants located just minutes away from Disneyland® Resort before retreating to your comfortable guest room or suite to indulge in unprecedented hotel amenities. Whether dining in the restaurant, on the patio or enjoying cocktails and apps in the bar, Oggi's serves up fresh and affordable cuisine in a fun and engaging ambiance. Once Anaheim's hidden treasure, the White House is now recognized worldwide and home to celebrities such as Danny De Vito, Madonna, Andrea Bocelli and former president Jimmy Carter who indulge in a fine setting that offers French-Italian cuisine. You simply cannot leave without sampling this iconic Southern California burger joint. The menu is burgers, fries and drinks and that's it - which means everything is done exceptionally well. Burgers are made fresh to order, fries are hand diced from fresh whole potatoes and the shakes are whipped up from real ice cream. Showcasing a tantalizing mixture of American, Creole and Mexican influences, the food is not to be missed and the live music is a welcome treat. Located in a rustic building that housed a blacksmith in 1910, this is a unique family restaurant with great food and fun atmosphere. Located in the heart of historic downtown Fullerton, Matador Cantina features Mexican-inspired cuisine and an array of premium tequilas and signature cocktails served in a warm and inviting décor. Discover the best entertainment in Orange County, with beer pong, two billiards tables, darts, Karaoke, and a well-stocked jukebox. A classic escape, this lounge offers great specials, pool tables, darts and live entertainment on weekends. Clean and neatly kept, with pool tables and more than 50 menu items under ten bucks, it's the perfect place to grab a beer or catch the big game. This intimate indoor concert venue hosts more than 250 events annually, ranging from concerts to comedy. With 41 state-of-the-art lanes, a trendy club, a hot new bistro and an upscale sports bar, 300 is more than your average bowling alley. An ideal spot for family fun, at Dave & Buster's you'll enjoy hundreds of games, including billiards, shuffleboard, and video and simulator games. At Red Lion Hotel Anaheim Resort, we make sure our guests are well-fed. Families will love the dining specials at our Anaheim hotel, whether you want a big meal or a quick snack. Stop by our restaurant on your way to the park, or wherever your journey takes you. Enjoy free delicious & gourmet poolside s'mores nightly in the summer from 8:00 PM - 8:30 PM. Carry out one of our large 12-inch pepperoni or cheese pizzas for only $13.95. This special also includes two 20 oz. bottles of soda. Call down to our restaurant to place your order during your stay. Stop by our Grab & Go pantry to pick up your family snack packs. We offer these theme-park approved packs at only $15 per pack, including tax. This value is great for a long day of play. 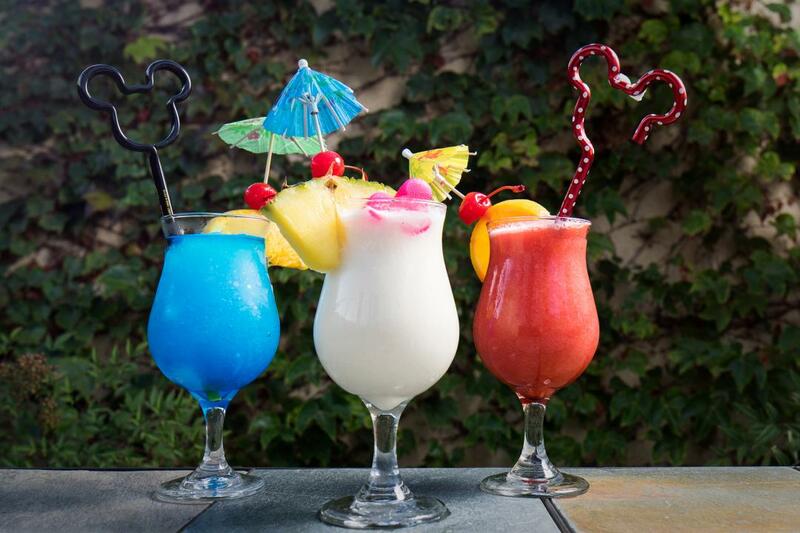 Available everyday from 1pm - 6pm, Red Lion Hotel Anaheim Resort offers guests an affordable happy hour. Stop by the lounge for a quick break during the day. Try one of the delicious options off of our Kids Menu. With meals starting at $7.95, our affordable and fun options will please the kids and adults in your family. Stop by the restaurant to view our current Kids menu. Check out our gluten free, real fruit Island Oasis smoothies and ice coffee options. Affordable and family friendly, you don't have to walk too far to grab a beverage. Start your day right, and stop by our restaurant. We're proud to bring you a newly renovated dining sensation, conveniently located adjacent to the lobby and pool. Enjoy meals for the entire family from our freshness-loving kitchen, and relax in the modern comforts of our dining space. Our fare includes a full menu of classic American staples, as well as drinks and desserts. 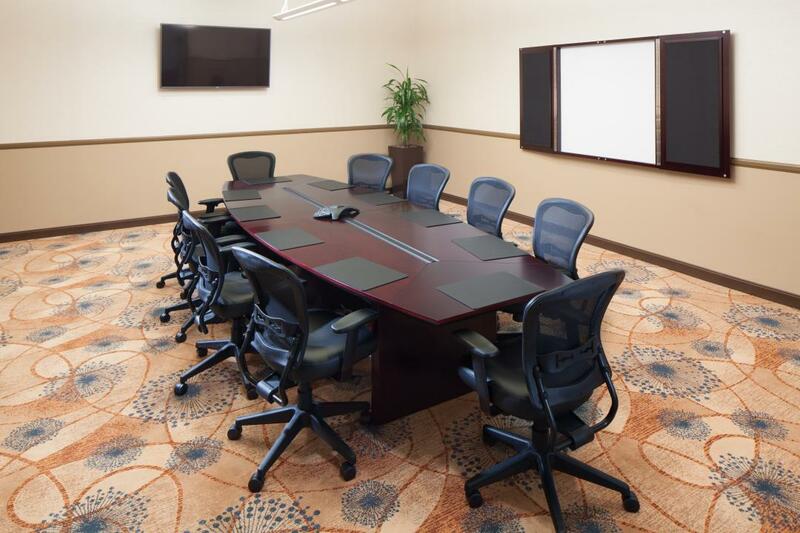 Whether you're traveling to Southern California as part of a group or are looking for a flexible meeting space for a sophisticated business event, Red Lion Hotel Anaheim is the perfect setting. With full-service event planning and 308 guest rooms, Red Lion is your home for great gatherings in Anaheim. In need of a block of guest rooms for your next trip to Anaheim, CA? The Red Lion Hotel Anaheim Resort offers convenient and easy group room blocks for all types of travel. Whether you are in town for a meeting at the Anaheim Convention Center or just bringing a group to visit Disneyland® Resort, we can provide affordable group room rates for your next adventure. Let us handle the group room coordination while you focus exploring all that Anaheim, CA has to offer. Red Lion Hotel Anaheim Resort is an ideal choice of meeting space in Anaheim for company-wide conferences and executive boardroom sessions to weddings, birthdays and more. 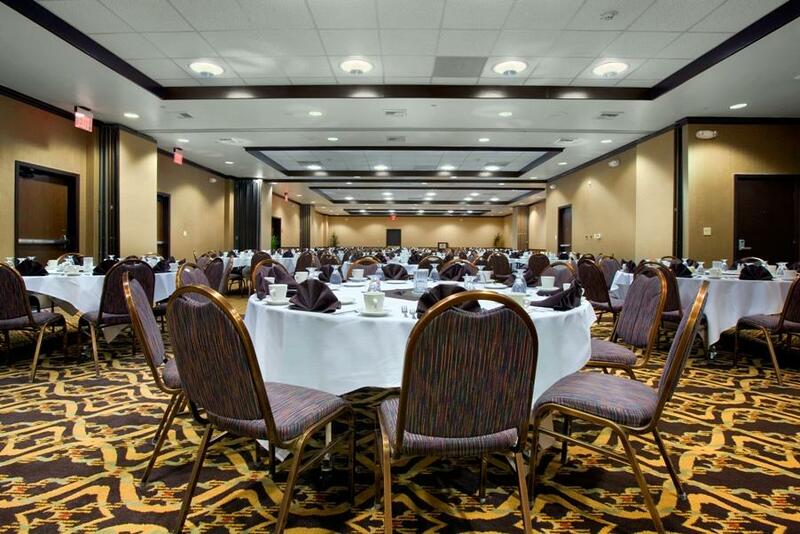 As a standout among hotels near the Anaheim Convention Center, we pride ourselves on offering impressive banquet rooms for a variety of functions. From poolside cocktail receptions amidst idyllic Southern California weather to expansive celebrations in our Serafina Ballroom, meetings at Red Lion Hotel Anaheim Resort cannot be beat. Select the perfect Anaheim meeting space from over 5,000 square feet, capable of accommodating up to 350 guests. Our professional Red Lion conference specialists are on-site to take care of all your needs. Contact our catering experts at (714) 383-6198 or submit an request for proposal online to learn more about hosting events at our hotel. Red Lion Hotel Anaheim Resort is the first hotel in the country to offer translation services through ELSA, aiming to help make your guests feel right at home. A uniquely beneficial amenity for international travelers, this technology enables Red Lion Hotel staff to communicate more efficiently with your group's members. Stay at the Red Lion Hotel Anaheim Resort for your next event at the Anaheim Convention Center. We are a close Anaheim Convention Center Hotel, only one block away and a quick walk down Katella, you will find easy travel to and from your event. With special group hotel rates and hotel packages, our Anaheim Convention Center hotel is ideal for a large group or company outing to the latest event. If you are in need for hotel accommodations for your next event please contact our sales team at (714) 383-6198 or request a proposal today. Our hotel near Anaheim Convention Center and Arena will welcome you with relaxing accommodations and friendly service. A perfect convention hotel, the Red Lion Hotel Anaheim Resort, is a desirable Anaheim Hotel just minutes away from the Anaheim Convention Center and Arena and Disneyland® Resort. Tired of searching for caterers in Anaheim? Let Red Lion Hotel Anaheim Resort craft a unique culinary experience for your next conference, business meeting or social gathering, with a specially designed catering menu. From a char-grilled king salmon filet served with a lemon, basil and garlic cream sauce to a build your own Italian buffet to boxed lunches and signature chef's carving stations, Red Lion Hotel Anaheim Resort is a standout among Anaheim catering options. For further assistance and to plan your event, please call (714) 750-2801 and ask for the catering director today. Look no further for an idyllic Quinceañera venue in Anaheim. Celebrate life's special moments at Red Lion Hotel Anaheim Resort, a standout among Anaheim Quinceañera venues. Our expansive banquet and meeting space offers flexible arrangements for family-fun celebrations. 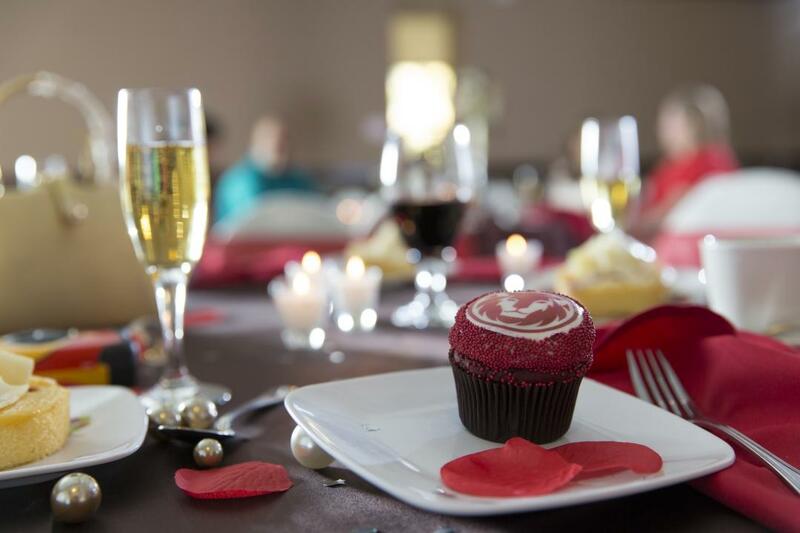 Let our dedicated event staff and catering team craft a signature catering menu and assist throughout the planning process, allowing you the opportunity to enjoy more of the Quinceañera celebration. Situated near the most magical place on Earth, Red Lion Hotel Anaheim Resort provides a majestic setting for your Anaheim Quinceañera. To learn more about our banquet space contact us at (714) 383-6184 to begin planning a delightful Quinceañera. An ideal home base for sports fanatics, Red Lion Hotel Anaheim Resort offers youth sport Anaheim group accommodations for teams and guests in town for the big match. From soccer, hockey, and football games, to baseball, softball and beyond, our travel options for collegiate, club and Anaheim youth sports are sure to be a home run with your group. If you're traveling with a team, you'll find yourself minutes from the most magical place on Earth, with Disneyland® deals that invite you to celebrate, unwind and soak in the California sun. We make team outings easy by offering the Disney® Desk in our hotel lobby. Buy tickets upon arrival for your team or at our online Disney® ticket store before you arrive at the hotel. Please contact the hotel to inquire about sports and group travel packages at 714-750-2801. Red Lion Hotel Anaheim Resort is the perfect location for your next tour travel groups adventure to Anaheim, California. From starting to book and block your guest rooms, to final check out, we provide personalized services to all tour travel groups. We specialize in group room blocks for all types of travel. Our friendly staff is available 24-hours per day to greet your guests as you arrive at the hotel. With our easy group arrival check-in and check out service, you guests will not be bothered by waiting in line. We want everyone to focus on a fun-filled adventure. Relax in our comfortable accommodations after a long day of travel and play. Our Anaheim hotel rooms feature signature pillow top beds, premier Cascadia Soapery bath amenities, flat panel TV's, refrigerator and microwave, Keurig Gourmet coffee maker, and in-room safes. You will find you will have the space you need to spread out and reminisce over your recent excursions. Looking for activities to do when you are in town? Visit our Anaheim Area Guide for recommendations and staff favorites. We are conveniently located less than a 5 minute walk to the entrance of Disneyland® Resort and Disney California Adventure®. As a Disneyland® Resort Good Neighbor Hotel, we sell theme park tickets at our official Disney® Desk or at our online ticket store. Enjoy the world's most beloved theme park, so close to the Red Lion Hotel Anaheim Resort you can almost reach out and tug on Mickey Mouse's ears. As an elegant choice among wedding venues in Anaheim, Red Lion Hotel Anaheim Resort aims to offer magical weddings. Whether you're looking to plan an intimate family affair or a grand ballroom banquet, our hotel staff is dedicated towards making sure your wedding day is a special occasion not to be forgotten. 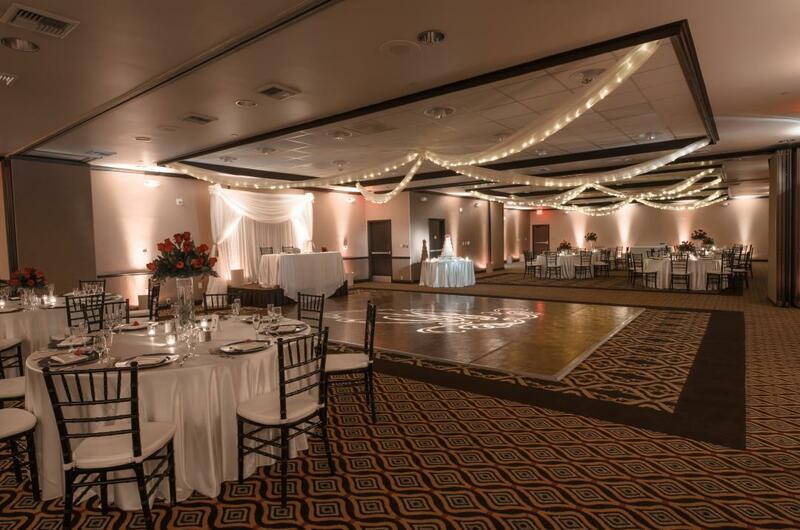 As a picturesque choice among Anaheim wedding venues the team at Red Lion Hotel Anaheim Resort will help make sure no detail is overlooked, from decorations and venue design to catering menus and special rates on group accommodations. Discover classic settings and timeless sophistication in each of the modern amenities at our hotel, all aimed to make your wedding ceremony and reception a spectacular event. Contact our hotel staff at (714) 383-6198 or submit an RFP today to learn more about options when planning weddings at Red Lion Hotel Anaheim Resort. From top name brands to one-of-a-kind shops, eateries and places to visit, there's never a shortage of Anaheim Attractions when you stay at Red Lion Hotel Anaheim Resort. Visit Disneyland®, beaches, cultural hubs and architectural wonders among Anaheim attractions all set in picturesque Southern California. Known for its fantastic theme parks, terrific sports teams and busy convention center, Anaheim is a fabulous, pleasure-packed destination offering a variety of Anaheim things to do. Less than an hour away from Los Angeles and Hollywood, you can also explore exciting, fun-filled points-of-interest including Griffith Park, Los Angeles Zoo, Hollywood Bowl, Disney® Hall, Rose Bowl and Rodeo Drive. Our hotel near Disneyland® has everything nearby. 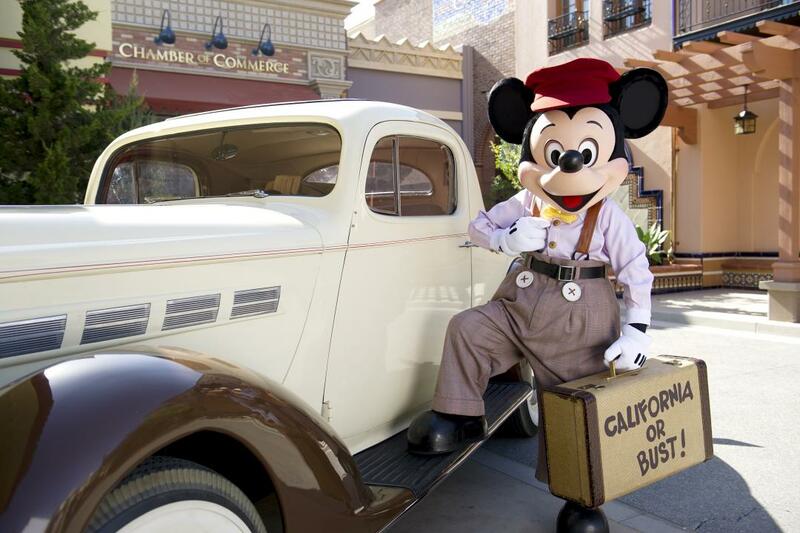 Our Disneyland® Resort Good Neighbor Hotel is just steps from Walt Disney's original park, beloved Disneyland®. After a short ten minute walk, be greeted by characters and enjoy rides, classic attractions and magical family-fun entertainment. Book your tickets today through the Disneyland® Ticket Store. Disney® Festival of Holidays brings the sights, soudns and tastes of diverse seasonal celebrations to Disney California Adventure® Park Nov 9- Jan 6. Click Here for more Info! Angel Stadium, the fourth-oldest stadium in the MLB behind Fenway Park, is home to the MLB Anaheim Angels. Just 45 minutes from Red Lion Hotel Anaheim, this short trip allows you to hike up to the Hollywood sign, visit the home of the Academy Awards and take advantage of L.A. shopping, dining and nightlife. Experience the thrill of aerial maneuvers at 600 knots and air-to-air combat in an authentic military flight simulator or feel what it's like to take the controls of a commercial airliner in the 737 flight simulator. Visit the picturesque town of Avalon or the rustic village of Two Harbors before taking a tour, golfing, parasailing or much more. From Huntington Beach to Newport Beach to Fashion Island to Seal Beach to Laguna and beyond, you'll enjoy a picturesque setting among SoCal's best beaches. Catch some surf and sun at one of the second-busiest seaport in the United States while surrounding yourself with beachgoers and active athletes. Located in one of L.A's most historical neighborhoods featuring 1920s California bungalows and grand estates, this quaint shopping district maintains a small town-feel. The Ranch House and Vista De Veranda Patio offer breathtaking panoramic views of the valley and city below. This outdoor mall offers over 30 name-brand stores, a bowling alley, movie theater and 24-hour fitness center just around the corner from the Red Lion. Just 15 minutes from Disneyland®, Brea Mall offers plenty of upscale shops in a relaxing atmosphere. Visit one of the largest malls in America, with 280 boutiques, award-winning restaurants and luxury spas, as well as the adjacent Segerstrom Center for the Arts. Discover great deals at outlet shopping for Saks, Nieman-Marcus and Nordstrom, the Outlets at Orange is fast becoming Orange County's premier outlet shopping destination. Witness a ninety-minute production of "living pictures" - incredibly faithful recreations of classical and contemporary works of art - with live models posing to look exactly like their counterparts in the original pieces. Each year, native swallows return to this historic landmark, an authentic, romantic and original California Spanish mission. The US Open of Surfing has a storied reputation, drawing elite surfers from all over the world. Don't want to spend all your money at the Disneyland® Resort? No problem. There are plenty of free things to do in Orange County near Red Lion Hotel Anaheim Resort. Here's some fun free things to do near our hotel. Anaheim's nearest and best beach, Huntington Beach, is a perfect place to enjoy the waves and relax in the SoCal sun. Bring your pet to their pet friendly beaches, or stay indoors for a day spa. Historic downtown has classic sights, and the beach is always great for volleyball, surfing, and other sports. Come to Surf City USA to enjoy California's best (and cheapest) attraction: The Pacific Ocean. Visitors and locals alike come to this new community gather place in downtown Anaheim. The district's refurbished historic structures include the restored Packard Building, Farmer's Park, Cook's Chapel, and The Backyard, an outdoor event area with a fireplace and an orange grove. The Packing House features over 20 artisan eateries, with live music on the Mezzanine Stage every weekend. A 58-acre park nestled in the Anaheim Hills, the Oak Canyon Nature Center is perfect for experience California's stunning natural beauty. Three adjoining canyons have four miles of hiking trails. See one of the few remaining areas of oak woodland and coastal sage scrub in the region. A year-round stream runs through the park, and native wildlife make the canyon perfect for animal spotting. The Nature Center is perfect for beginners looking to experience the wilderness, or experienced travelers who want to relax on a short hike. This park, over a mile long and 140 acres, lies at the mouth of the Santa Ana Canyon. Park of the official Orange County bicentennial project, the site recaptures the river setting of the adjacent Santa Ana River. Yorba is ideal for family activities, with over 400 picnic tables. Four lakes with streams are great for fishing and model boat sailing. Bicycle trails also wind through the park and connect to the Santa Ana River Trail, which leads to the Pacific Ocean. The park has volleyball courts, horseshoe pits, two ball diamonds, a physical fitness course, and 200 barbecues. The Fullerton Arboretum is the largest botanical garden in Orange County. For over 35 years, it has served Anaheim with resources for ecological, horticultural, and historical education. 26 lush acres collect over 4,000 unique and unusual plant species from around the world. Ponds, streams, and wildlife make the arboretum a tranquil retreat from a fast-paced urban life. The Heritage House Visitor's Center is a historic Victorian building built in 1894. Bowers Museum promotes human understanding through art. One of SoCal's finest museum, and the largest in Orange County, its state-of-the-art facilities present world-class exhibitions. It has collections from Africa, the South Pacific, Asia, Native Americans, pre-Columbian art, and California plein-air paintings. The Kidseum, a children's museum two blocks away, educates kids about art and the world. The Bower Museum has family cultural arts festivals, lectures, film series, symposia, and workshops throughout the year. Dining, shops, entertainment, and even free parking. Downtown Disney® District has unique shops for kids and adults alike. Have cocktails or fine coffee at an open-air cafe, then visit one of the largest Disney® Stores in the world. Other shops let you build your own toy car and turn your child into a star. A blizzard of Frozen experiences have descended on Downtown Disney® lately, sure to make any child shiver with joy. Waltz around the best couture and latest fashions in SoCal's sunny shops. Want the latest from Paris, Milan, or Tokyo? The Outlets At Orange have major brands, with just about everything from Aldo to Zumiez. There's also an AMC Theater as well as a plethora of lunch options. For a more upscale shopping experience, head to The Irvine Center, with its interesting shops like Skinfood, selling food that's good for the skin, and StoryMakery, a self-publishing experience for young children. And window shopping, of course, is always free.